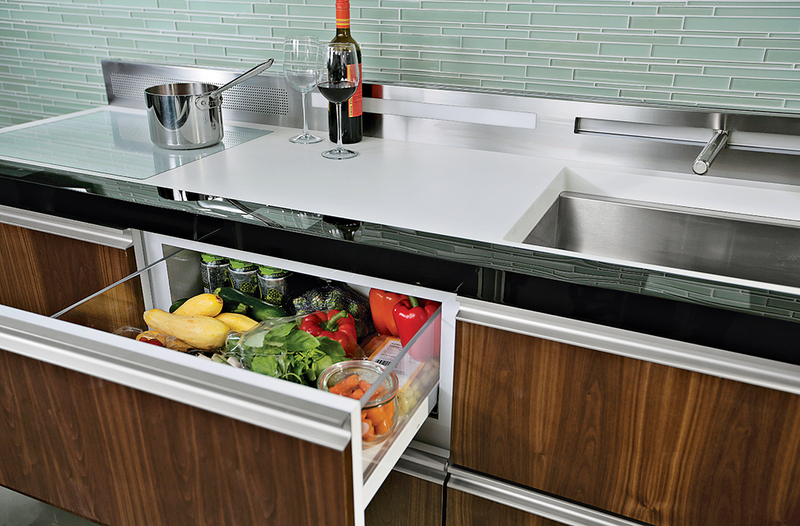 Dubbed the Monoblock, GE’s forward-thinking micro-kitchen concept boasts cooking, refrigeration, and cleaning modules joined in a compact unit. The project is part of FirstBuild, a joint venture between GE and the crowdsourcing platform Local Motors. The new model for appliance invention seeks to engage engineers, designers, and scientists by developing products and bringing them to market. All pieces hit the standard countertop height of 36 inches and run 24 inches across, narrower than the standard appliance width of 30 inches. Due out in late 2014, the mini-kitchen costs between $7,000 and $15,000, depending on features. Users can swap out standard technologies for pricier ones, such as an induction cooktop and Advantium Speedcook oven. 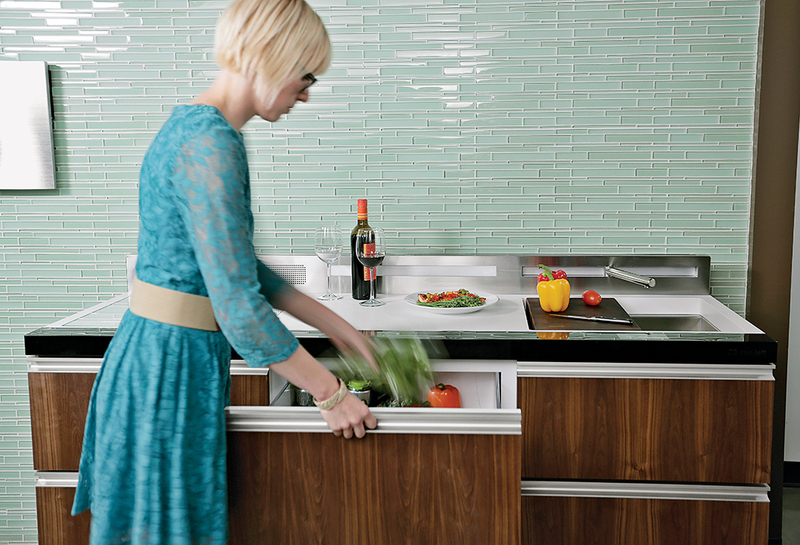 The kitchen features all flat, touch-based digital controls. Homeowners may fantasize about large and luxurious kitchens replete with expansive ranges and stretches of glimmering countertops. But for many, the scale and price of these concepts are unattainable. When GE Appliances began to analyze census data a few years ago, it discovered that millennials and baby boomers—two of the most influential consumer groups—increasingly were opting to live in compact spaces in dense urban zones.